Each of us have our favorite bloggers that we enjoy going and reading their posts. While many are professional bloggers, the majority write part time from home. 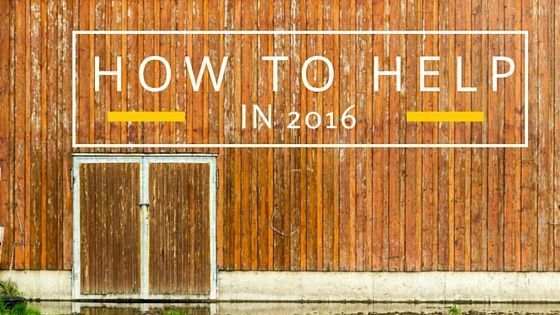 Here is how you can support your favorite blog in 2016? In order to do so I am going to share with you my story and ways that you can help me on this blog. This story and ways to help are very similar to what all bloggers stores and needs are. So as you read this, put the name of your favorite blog there and that is how you can support your favorite blog this year. This past year has been a crazy year, full of ups and downs. God has been so gracious to me and my family. I appreciate you joining me on this journey. Here is how you can help me. A few years ago I started a blog and posted a few posts here and there for the purpose of my friends and people in my student ministry. Towards the end of March, God provided me with an opportunity to have my own website and to start writing more intentionally. I thought I would NEVER get into writing. Let’s be honest, back in college I had to repeat English 101. Writing was not necessarily a strength of mine. I thoroughly disliked English and grammer. But God has a sense of humor and prompted me to write. One important thing to know about me is that I LOVE ministering to people. When people come to understand a spiritual truth and their life changes, that is what it is all about for me. And so I began to write two times a week starting in April. Since then I have written just over 100 posts. I can’t believe I have written that much. I remember back in August, I thought I would never reach that mark. There have been some posts that have had a few thousand views and others that are not nearly as high. But if 1 person is able to grow in their faith, that is what it is all about. My wife reminds me of that when I spend 3 hours writing and only have a few people reading. It is about a life that is changed, a life that is strengthened in their faith. I am so glad that God is bringing me on this journey. My Facebook page has grown to 235 people and there are over 75 subscribers to my email list. You have been a huge part of this success, as you have commented and shared posts. I am so grateful for all of your help. So a little peak into this blog. I typically write, design the site and work on other content after my 2 children go to bed. Often not starting till after 10pm. A typical post for me, if I do not have to do much research, takes me around 2-3 hours to write, edit and post. I treat this site and each post as if I am your pastor, guiding you into a deeper relationship with Christ. I would be honored to have your help this year. So how can you? Take a few seconds and subscribe to receive all future posts. Click here to subscribe and you will also receive all future ebooks and other great resources. This insures that you get every post. By simply following on FB or Twitter you are not guaranteed to get every post. I write 2 times a week and you will get the post at 8am on those mornings. If would like it in your inbox earlier, let me know. I LOVE hearing from my readers. This is one of the highest complements that you can give when you read a post. Just simply share, whether that is on FB, Twitter, Linkedin, Pinterest or other social media outlet. This goes a long way in promotion. I depend on you the reader to spread each post and not paid ads. I remember one day I had written a post that did not have many shares or views, and then had a few people share and the amount of people that read it grew more than 10x in the next hour. You make a HUGE difference when you share. I try to make it easy for you by putting several share buttons on every post. You will notice that there is no shares for twitter. That is because Twitter just changed their code to not allow any shares to be counted. So you can’t see it because it is not there. Social proof is HUGE when it comes to shares. When people see that others have shared, they are more likely to read and share the post as well. So you helping by sharing is HUGE for any blogger. This is a great way to support your favorite blog. Believe it or not, this helps out greatly. For one it helps build community and gives me a great feedback. Your comments encourage me to keep writing. It also helps other people to find this site. I occasionally post questions on FB and to my email list. By helping me answer these questions and surveys, you help me make this site better and more applicable for you. Like my Facebook page. When ever you see a post, like it, comment and share it. Even if your comment is, “Great Post. 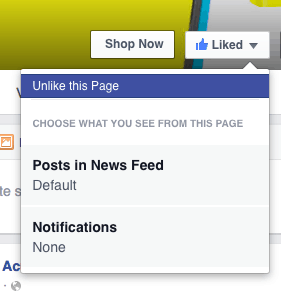 This greatly helps FB’s algorithm and will help more people see the page and that post. Another thing you can do is set up your news feed to see more posts. Every time that I post anywhere from 10-40% of people who follow the page will actually see the post. So here is what you can do. Click the liked button and you will see a drop down menu. Click the Posts In News Feed. You will see the following screen pop up. Select See First and you will be able to see the posts from this page consistently on your feed. I would be honored if you would take a few minutes and invite some of your friends to like my page. On your lefthand side there is a button that says, “Invite Friends To Like This Page.” And select the friends that you think would enjoy growing in their faith to like this page. Here is where the link is. 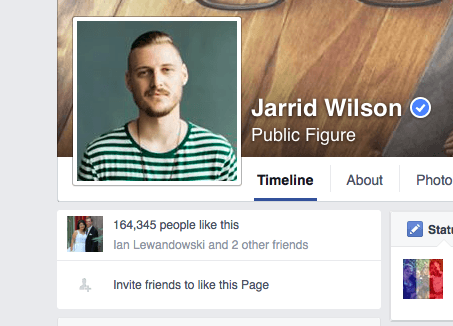 FYI Jarrid Wilson is a great guy to follow. Lots of wisdom! Follow me on twitter at @JeremyBrummel. I love to interact with all my readers on twitter or on FB. You can do so by replying to tweets and retweeting. I share thoughts, verses, great blog posts from others and sometimes questions. Any shares or pins on other social media accounts helps out greatly in spreading the word. There is nothing so valuable as sharing something by word of mouth. That is how I found out about many major influencers in my life and ministry. Simply because other people recommended them to me. Make a purchase using my resource page. I am an affiliate with Amazon. What this means is that when you purchase a book from my resource page you pay the regular price but I get a small commission. Also, if you click one of the links and make any purchase on Amazon within the next 24 hours the same will also apply as I will get a commission on that. This helps out greatly in supporting this site financially as it does cost money to upkeep. Your favorite blog probably has affiliates as well. I love to get feedback on posts and on my site. You can do it by email at jeremy@jeremybrummel.com. Or by posting your comments on FB and on the post. If you see something change, whether on the site or in an email, let me know what you think about it. I am always trying to make my emails and website better. I need your feedback to make that happen. Many bloggers design and upkeep their own site. I have done the same to this. I do everything on this site from the graphics, design, layout and tech for everything having to do with this site. It is a lot of work and I would love to see it get even better. I have a long way to go but slowly I am learning how to put a site together. I am not very creative so sometimes this slows me down. I welcome all feedback. Your encouragement and feedback keeps me going writing every week. This likewise goes for your favorite blog. The love getting your feedback and encouragement. Drop them a quick email and do let them know today how you have benefited from their writing. 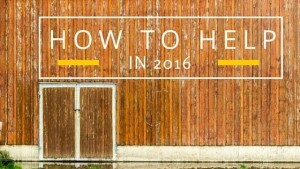 Later on this year, I am planning on producing many courses that will be aimed to help you grow in your faith. Some will be free (I like to give free things away) and there will be a few others that will be used to support this site. If you have a course or ebook that you would like to see please let me know in the comments. I do not have any ads on this site so this will go along way in supporting my writing and keeping this blog going. If you are interested in guest posting on this site or having me write for you let me know. I would love to guest post for other people. Just an FYI, sometimes you hear people talk about views etc. This is important to many websites as many other bloggers who have ads get paid by the amount of views they have on their site. This is one reason that if you have a favorite blog, support them in these ways as many of them provide for their families by providing you with AWESOME content every week. What is a topic, course or ebook that you would like to see that would help you grow in your faith? You are doing well. I really enjoy your content. I’m sure I’m not the only one. This is well-crafted post you have here today. I’m looking forward to the courses and seeing more of that in the future. Let me know if there is anything else that I can do. Thank you Kirby. Your encouragement has meant a lot to me this year as i started out writing for the first time. i will definitely be keeping you in mind. Let me know if you would like to guest post sometime. You provide great wisdom and insight.